River Birch Live Stakes It can be used as an ornamental tree as many love the appearance of the rough peeling bark. River Birch Live Stakes grow into Trees that reach 40 Feet in Height. River Birch Live Stakes is excellent to have in your yard it provides a significant amount of shade, and it can be used for many different uses. It is also a beautiful tree all year long in the spring. The trunk is a cinnamon color, and the leaves are bright green. In the summer it's trunk has more of a darker brown to it and darker leaves. Then in the fall, it has a lighter brown tint to the trunk and the leaves change colors to red and orange. The winter is probably the most beautiful time for this tree it doesn't lose much of its leaves, but it loses some, and the trunk turns to an almost white color and the leaves turn to a very dark lustrous green color. The River Birch Live Stakes is known for its distinctive bark, and its unique, attractive appearance makes it a favorite for landscaping use. The bark is thin on young trees with free layers of curling bark that later form into thick, irregular plates. The River Birch Live Stakes is moderate to slow growing and can reach a height of 49-82 ft. It is tolerant of warmer areas, and its native range includes southern New Hampshire to northern Florida, to the Mississippi River Valley. It prefers wet ground on flood plains or near water sources but can grow on higher land, and can be used for erosion control. River Birch Live Stakes grows best on wet ground; it can grow at higher elevations. It is capable of growing up to 100 feet but commonly remains near 80 feet. It is seen in floodplains swamps bogs and marshes all across the United States. It also is a sap-producer although it is used mainly for sweeteners and not syrups. It produces fruit late in the spring which is enjoyed by birds. Choose Trees like the River Birch to Enjoy for Homes and gardens. Have a home or garden? These types of trees are excellent to landscape around fixtures like this. They are a native tree, so you know they will be very hardy, and they will eventually reseed themselves and Form new trees. Trees are an excellent source to provide shade to your home and garden. Do you have a house or yard? This type of tree will shade homes and gardens which make them great places to be in the summertime. Some people like to plant trees around gardens and their houses because of them being homes for animals. It makes homes and yards look great. This tree is loved because it can grow in both dry conditions or wet. The only thing to avoid with this tree is soils with lots of alkalinities because it will not grow well in it. 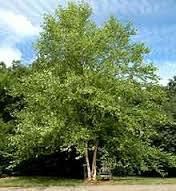 The River birch is classified as an ornamental tree, shade tree or flowering tree. The foliage is dark green with small white flowers. It has a fast growth rate and can grow up to 3 feet per year. It can be planted with both a male and female or alone. River Birch live stakes are an excellent way to get this tree established. This tree does excellent in various soils and will also tolerate drought conditions well. It will thrive in full and partial sunlight. River Birch Live Stakes is a great tree to attract a lot of birds to a lawn. The river birch tree gets its name because it can grow well in moist, wet soils.